Small business owners face potential legal trouble whenever they hire – or decline to hire – employees. Even a minor violation or an honest mistake can cost you in lost hours, legal expenses, and never-ending paperwork and red tape. Before hiring even one employee, a savvy small business owner will want to bring an experienced Daytona Beach business attorney on board. It’s the best investment you can make for avoiding unforeseen legal troubles. When a good Daytona Beach small business attorney is part of your team, you’ll have an attorney who already knows you and your business whenever legal needs or issues emerge. 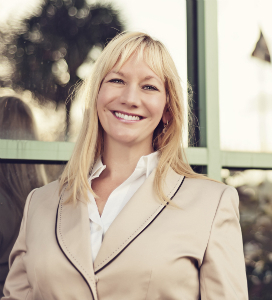 In central Florida, your dependable partner is Daytona Beach small business attorney Melody Lankford and the Lankford Law Firm. Get the legal advice and services your small business genuinely needs; call us today. An experienced Daytona Beach small business attorney is the small business owner’s best tour guide through the jungle of hiring laws, legal documents, and compliance procedures. Sound, candid advice from an experienced Daytona Beach small business attorney can help a business avoid potential lawsuits from employees, clients, suppliers, and anyone else. A Daytona Beach small business attorney can also help you write and negotiate contracts; conduct internal investigations and audits; protect your intellectual property rights; develop business plans, compliance procedures, and employee policies; and will act as your corporate secretary and registered agent. When Melody Lankford and the Lankford Law Firm are part of your team, you know that routine legal matters will be handled expeditiously and unexpected legal issues will be handled by an experienced Daytona Beach small business attorney you know and trust. Don’t wait until you need an attorney; often, that’s too late. You need a reliable partner right at your side who is constantly working on your behalf. The Lankford Law Firm serves and represents small businesses throughout Volusia, Brevard, Flagler, Orange, and Seminole counties. Daytona Beach small business attorney Melody Lankford provides a friendly, comfortable setting for current and potential clients to discuss their legal and business needs by setting appointments around each client’s schedule, and making it even more convenient by going to their place of business. Contact the Lankford Law Firm for a free consultation at 850-264-7004 or email us at: [email protected] Se Habla Español.